Looking to Repair or Install Gas Piping in Lake Tapawingo? At Kevin Ginnings Plumbing Service Inc., we are committed to keeping Lake Tapawingo’s gas pipes safe. If you have a leak, it is absolutely necessary that you get it fixed immediately. 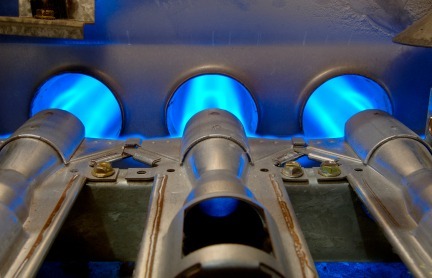 Natural gas is odorless, but it’s usually mixed with additives that give it a foul, rotten-vegetable like smell. If this odor creeps into your Lake Tapawingo home, this means that there’s a problem with your Lake Tapawingo gas piping system. In these situations, you need to get out of the house immediately. You could die from inhaling natural gas, and any small spark from an electric device can ignite the gas, causing an explosion. After you get a safe distance away from your house, call the Lake Tapawingo MO gas piping experts at Kevin Ginnings Plumbing Service Inc. to fix the leak immediately. Not every problem with gas piping in Lake Tapawingo MO is a life-or-death matter. At Kevin Ginnings Plumbing Service Inc., we sometimes work with customers to upgrade their gas piping systems to make them more efficient. This helps customers save money while heating their houses better. Whatever you need from Kevin Ginnings Plumbing Service Inc., we can assure you that we are Lake Tapawingo’s gas piping experts. We’ve been doing this since 1985, so we have years of expertise. We are also insured and licensed to work on gas piping in Lake Tapawingo MO. Whether you’ve got a critical gas piping emergency on your hands or you just want to improve your pipes for optimal flow, Kevin Ginnings Plumbing Service Inc. has you covered. Just call (816) 832-4322 today to find out why we’re the leading experts on gas piping in Lake Tapawingo MO!